I hate spoiler alerts just like the next person, but at this moment I feel like one is necessary. So here's the spoiler alert: this whole post is about value. 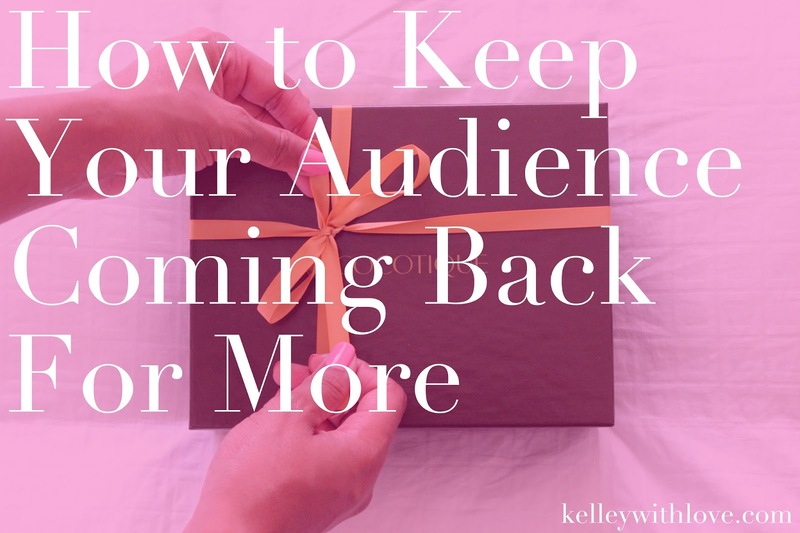 If you want to know the best kept secret about how bloggers and brands keep their audience coming back for more, then you have to understand value. To know that providing your audience with value will keep them coming back is one thing, but to understand and know how to do it is another - believe me I know! I never want you to struggle when it comes to simple but effective methods and I want to help you take another step in the right direction and better understand a simple thing that sometimes seems complicated. Now that you know providing value is key, I want to help you learn how by understanding the different types of value you can provide. You can then choose which type you provide and how you want to deliver it. Check out how to provide your audience with value and keep them coming back for more below. One way to provide others with value is to be a source of information. We see this in action through things like the news, radio, and Internet. People value those sources because they keep people current. This is a great way to provide your audience with value. This particular method however can be very time consuming and you will need systems in place so as not to become overwhelmed. People are always looking to learn new skills, tricks, and tips. What better way to provide value than to educate someone. Education can take you many places and this is what it is so valuable. People will always return if you are teaching something that they have an interest in. Even though life is beautiful, sometimes it can get a little tough. That's where the use of motivation becomes valuable. The key to providing motivation is to inspire action. Motivation is especially valuable in the areas of exercise, parenting, and entrepreneurship to name a few. Laughter, dance, and drama are all a way to escape for a while and that's why the world of entertainment is so valuable. Do you have a talent that can inspire others and give them a positive escape, some motivation, or even relief? Well then you may just have some God given talent that could be very valuable to others. Ever just need a kind word or reassurance to remind you that everything is going to be okay? Well then you know just how important it can be to have just a little bit of inspiration to bring a smile to your face. People need to feel good and that's why inspiration is so valuable. A little feel good goes a long way and if executed correctly it will keep your audience coming back for more! Which one of these methods do you use to provide your audience with value? These are awesome!!! These are definitely the things I'm trying to keep in mind while growing my blog and brand. Sure I'd like to make a couple of dollars here and there...but I want to always remember that I'm blogging for me, first! Then I want to remember that I'm blogging for people like me (people with questions about their hair, who need motivation along this natural hair journey, etc.)!! When I get off track I like to always come back to that. Great post! !